^The Middle Ages (c. 500—c. 1500) was, as its name implies, a great age of transition. The Roman Empire (27 B.C.E.-476 C.E. ), which had provided the structures of civilization across Europe for nearly five hundred years, collapsed in 476, and bands of nomadic people who the Romans had called barbarians—Goths, Huns, Vandals, Franks, and others—took control of much of western Europe. Roman trading networks, civil administration, and learning disappeared, to be replaced by the cruder social structures of the barbarians. These new Europeans retained the Catholic Church and the Latin language, yet most every other area of culture changed. Nowhere were these cultural changes more apparent than in the area of clothing. The fine linen and silk togas and draped robes of the Romans disappeared and were replaced by crude wool leggings and fur-lined tunics, or shirts. 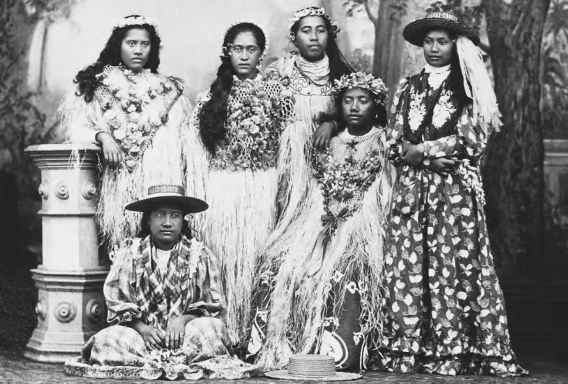 Over the course of the next one thousand years, however, the emerging kingdoms of Europe began to develop more refined costume traditions of their own. Clothing traditions in Europe developed slowly at first, with only minor changes in basic costume until about the eleventh century. After the eleventh century, trade, travel, and wealth increased, and clothing became more sophisticated. 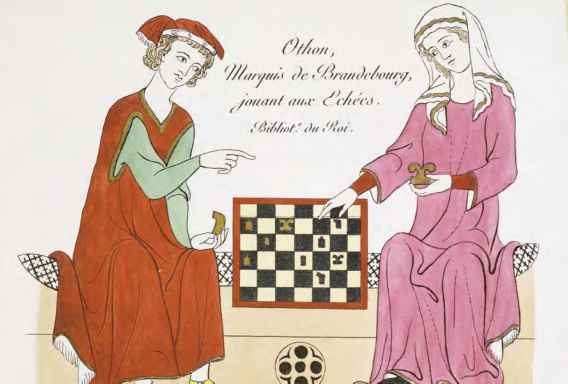 By the end of the Middle Ages, Europe was developing distinctive and refined costume traditions of its own. 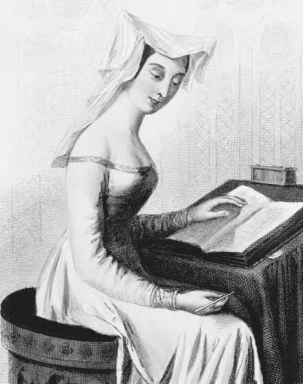 Women of the Middle Ages often wore long flowing garments and head decorations such as veils and hennin. Reproduced by permission of© Gianni Dagli Orti/CORBIS. and crude stitching at the sides, was the basic garment for both men and women throughout the Middle Ages. People would typically wear a thin undertunic and a heavier overtunic. These varied in length, with women's tunics falling all the way to the ground throughout the period, and men's tunics gradually rising so that by the end of the period they looked much like a modern shirt. Both sexes wore a belt around their tunics. Men typically wore leg coverings, ranging from simple trousers early in the period to a combination of hose and breeches, or short pants, later in the period. Both sexes also wore a tunic made of fur when the weather was cold. Fur was widely used by people of all classes, with the richer people being able to afford softer furs such as ermine, or weasels, and mink. Medieval men and women often wore cloak-like garments and robes over their clothing, such as the cycla worn by the man on the left. Reproduced by permission of © Leonard de Selva/CORBIS. Byzantine Empire (476-1453 C.E.) and beyond in present-day Turkey. These influences brought a revolution in fashion. Wealthy people could afford to have their servants modify their clothing, and they helped invent several new fashions, including hose for men's legs, houppelandes (a long, tailored outer robe), and other decorative wraps. clothes for them. For most this meant clothes were fairly simple. In the developing kingdoms of Europe, however, skilled craftsmen began to organize themselves into guilds, or organizations of people with similar trades. One such trade was tailoring, making, repairing, and altering garments. These tailors developed their skills and soon made tailoring a job for men instead of women. By 1300 there were seven hundred tailors working in Paris, France. Tailors across Europe developed new methods of cutting and sewing that allowed for closer fitting, more intricately tailored clothing. The impact of professional tailoring can be seen in the clothes of the late Middle Ages but really became pronounced during the Renaissance of the fifteenth century and beyond. Wagner, Eduard, Zoroslava Drobna, and Jan Durdik. Medieval Costume, Armour, and Weapons. Mineola, NY: Dover Publications, 2000. What people wore in the middle ages? What medieval people wore from the 500's onward?